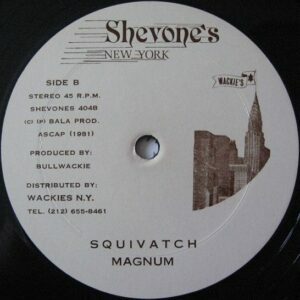 This was the groups debut, now highy sought after release before naming themselves Chapter III/Chapter Three and was backed with the disco funk track ‘Squivatch’ by Magnum. It was produced by Bullwackie aka Lloyd Barnes and released on Shevone’s, a label named after one if his daughters. 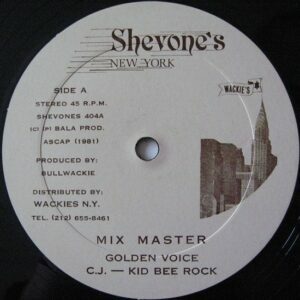 Lloyd Barnes is a reggae dub producer and was born in Jamaica but raised in the Bronx. He recorded in Jamaica as a singer for Prince Buster before moving to New York.